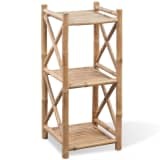 Every avid reader will put a nice bookcase at the top of their wish list. 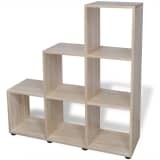 Bookcases are available in all shapes and sizes. 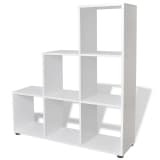 Real reading fiends dream of wall-to-wall book shelves, but smaller bookcases for just your nicest volumes are also available. 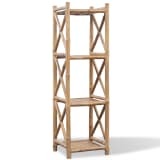 At vidaXL, you will find a number of bookcases that are practical as well as decorative. 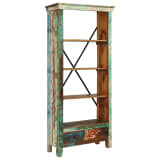 Consider a reclaimed wood bookcase. The weathered look, variations in the wood grain and unique colourations, gives each piece of furniture its own identity. What are you looking for in a bookcase? 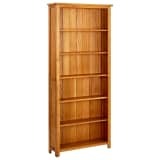 One thing to consider is that is how big and sturdy you need a bookcase to be in order of storing all your books. 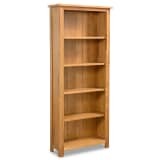 Here at vidaXL, we have a range of fabulous bookcase options, with enough space to store all your favourite books. 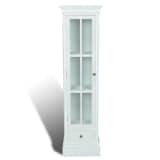 From standing cabinet style bookcases to bookcases with open display sections, we are sure that we have the bookcase for you. If you are looking for something a little out of the ordinary, vidaXL have also come up with some unique bookcase designs that will be sure to become a real eyecatcher in any room of your home. 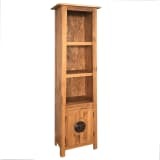 Have a look at our unique bookcases in the shape of a rhinoceros or a dear for example. These fantastic designs are also very practical and can be used as a coffee or a side table, which is great if you are looking to save some space. When you have found your ideal bookcase, the next logical step is to start filling your new piece of furniture with all your fabulous books. This can be a pain, but it can be approached in an organised way. When you place the books at random, this can look chaotic, particularly when you have an open bookcase. 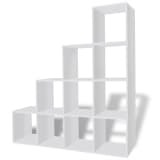 Sort books your books according to size, alphabetically, by genre or may be even by colour. Sorting books according to colour will give your bookcase a particularly neat, tidy and organised look. If you have a fabulously large and spacious living room, do not shy away from a large bookcase to help compliment the size of the room. 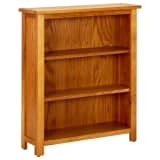 For those of us who are lucky enough to have a wonderfully large and extensive book collection, you may consider placing two bookcases side by side to create that real library effect. 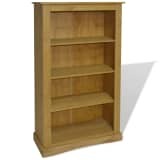 In smaller spaces, we cannot afford to be so extravagant, however, we have a range of smaller bookcase units to suit your needs. Multifunctional cabinets are ideal for that, as they allow you to not only store books, but also give you a place to put your cup of coffee and display your treasures.